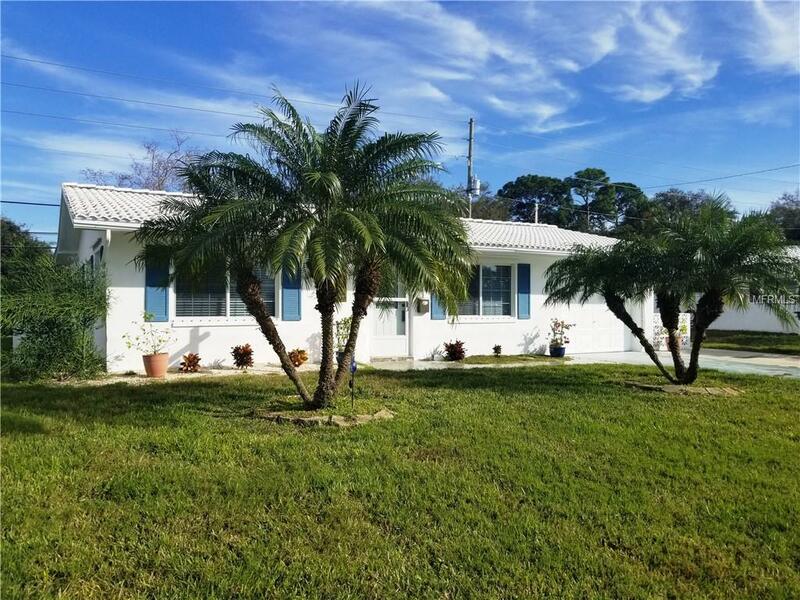 Fabulous opportunity to own this well kept home in desirable, active & well maintained Tamarac By The Gulf. A 55+ low maintenance community with many activities and close to beaches & shops. NO FLOOD INSURANCE REQUIRED for this property! The low monthly maintenance fee includes water, sewer, trash, roads, lawn care, exterior painting of the home, clubhouse & pool & reserves. The home features newer double pane & insulated windows with hurricane shutters for most windows, A new A/C system in 2016, tile roof in 2008 and flat roof in 2016. The kitchen/dining area with skylight opens to the back family room, screened in Florida room and backyard open patio. Additionally, the master bedroom is extra large. The one car garage has plenty of room for your car, washer/dryer + the full 2nd bath. A perfect year round or seasonal home! Pet Restrictions Maximum 2 Pets Allowed. Size is Not Outlined in The Rules. Listing provided courtesy of Pinellas Realty Group Inc.